Ron Michelson was raised in a secular household but converted to Judaism in 1968 to marry Paula Eisen. Up to that time, he had been searching for meaning and purpose through his college studies, and he found what he was seeking in the traditions of Judaism. Together they raised their children in a Jewish household and attended synagogue in Southern California. In 1987, Ron was confronted with the Gospel for the first time. When he read the New Covenant Scriptures, Ron saw for himself the fulfillment of the promised Messiah in Yeshua (Jesus). Ron received his Savior, the promised Messiah, on November 6, 1988. Ron holds a Master’s Degree in Theological Studies from Golden Gate Baptist Theological Seminary where he studied the Scriptures from a Jewish perspective. His desire is to help other believers to better know the roots of their faith. Ron teaches that, “It is very important for all believers to know how to present the Messiah to their Jewish friends, coworkers, neighbors, and family members when they intermarry.” Ron has always been active in his local congregation and is a bold evangelist, teaching and preaching God’s Word to both Jews and Gentiles. He was called into full-time ministry and is answering that call as a staff member with Chosen People Ministries. “I find great joy,” says Ron, “in seeing Jewish people everywhere find their Messiah and place their faith and hope in Him.” Ron is a missionary at heart – having spent five years ministering to the homeless in Laguna Beach prior to entering the seminary. His greatest desire is to teach Bible studies and share the Gospel from a Jewish perspective with churches everywhere. He is an ordained Pastor in his local church. 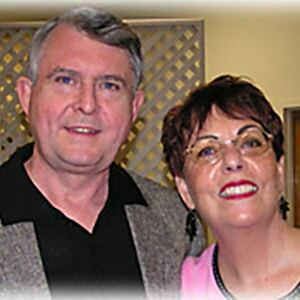 He, and his wife Paula serve in Southern California.